Vicky received her Bachelor of Science from UC Davis in Evolution and Ecology. In addition, she earned a Minor in Art Studio in which she focused on photography courses and a Minor in Psychology in which she focused on Animal Behavior courses. Her research endeavors as an undergraduate involved several independently developed ecology projects including a semester at Bodega Marine Laboratories, working on invasive species in San Francisco Bay through UC Davis’ IGERT program, and presenting her findings regarding habitat selection in Drosophila melanogasterto UC Davis’s CAMP conference. After graduation, Vicky’s next research experience occurred in Mossely Bay, South Africa with Ocean’s Research where she learned tagging and tracking skills through their Great White shark (Carcharodon carcharias) population study. Since then, she has accrued nearly a decade worth of experience in marine education with a special interest in collaborating with Spanish speakers and underserved communities. Her career in marine education began with the Ocean Discovery Institute and has continued with groups like the Marine Science Institute and the Ocean Odyssey which has combined classroom and outdoor education including deckhand work certified by the US Coast Guard. Most recently she developed and taught marine science curriculum to students from the 7Teepees Youth Program in the Mission District of San Francisco. Vicky (left) and co-worker, Sarah Lecus (right) releasing a leopard shark used by the Marine Science Institute for education. Vicky has also written marine science content for Beyond Blue Magazine (with a regular column, The Spotlight), Southern Fried Science and Elite Diving Agency. Currently, she helps run her school’s blog, The Drop-In. In addition, Vicky has volunteered with groups like Dr. Sylvia Earle’s group Mission Blue on their Google Ocean project, the aquarium department at the Living Coast Discovery Center and the Ichthyology Department at the California Academy of Sciences. Vicky speaking to members of the Monterey Bay Chapter of the American Cetacean Society, which was filmed for a local television station. Vicky’s experiences led to an offer to serve as the Founding Deputy Director of the Ocean Research Foundation (ORF) which is a fully volunteered powered operation. In this position, Vicky has helped organize and run public outreach events such as Shark Trivia at Nightlife with the California Academy of Sciences and classroom visits. Vicky also manages other volunteers, oversees their social media endeavors and assists in ORF’s field work in San Francisco Bay. In 2014, Vicky reached over 1600 people through 16 events, including 579 school-aged children and has already surpassed these numbers for 2015. 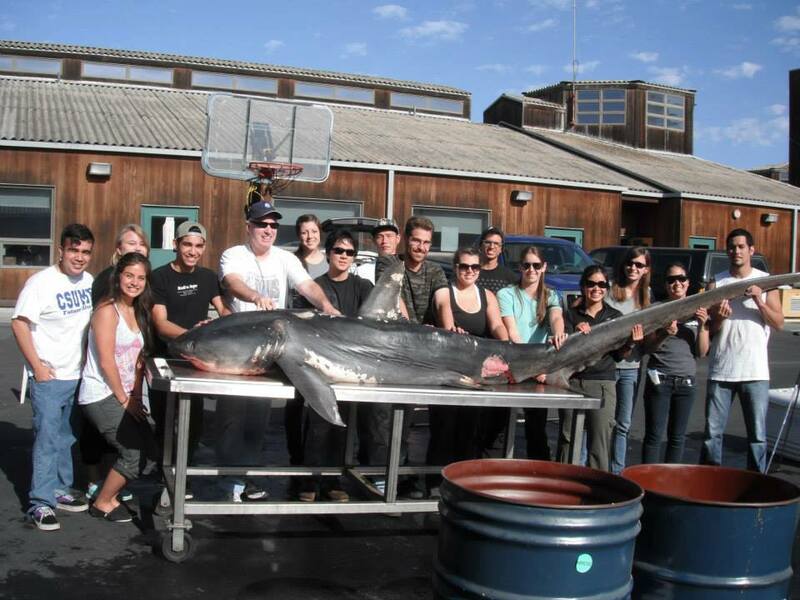 Vicky is studying the spatial and temporal distribution of Soupfin sharks (Galeorhinus galeus) in San Francisco Bay. She finds this work really exciting because the Golden Gate Bridge is a world-recognized icon yet we don’t have a full understanding of the life below its waters. More so, when many people think about sharks in San Francisco Bay, they often think about Great White sharks (Carcharodon carcharias). 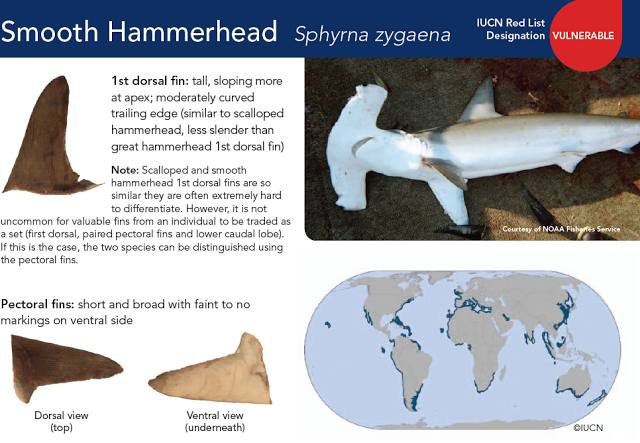 Consequently, many of the more common elasmobranch species utilizing the bay go unnoticed. 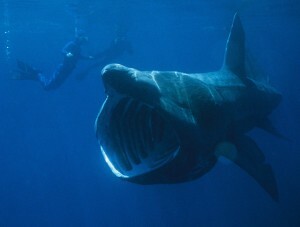 Soupfin sharks are one such example. In the early 1940s, Soupfins were heavily fished for their livers yet no one has done an assessment on the population within San Francisco bay since then. Vicky learning methods for her project by assisting other researchers. Depicted is a Soupfin shark turned upside down to induce tonic immobility while data was collected. The shark was released alive. In 2014, a large influx of hammerhead sharks to Southern California prompted Vicky to create an on-line survey in which water users (primarily fisherman) could report observations and pass along any photo or video evidence. This is an ongoing project in which the public can help by sharing the survey with others and reporting any observations. The survey was developed in collaboration with UX developer and ocean enthusiast, Orestis Herodotou. Vicky serves as a field assistant to ORF’s Sevengill shark population study. ORF tags Sevengill sharks in San Francisco Bay with spaghetti tags for a long term catch & release study. If you or someone you know catches a tagged a Sevengill shark, you can help this work by calling the number on the tag to report the location, size and ID number of that shark.